In addition to its two historical sites in Reunion Island and Mauritius, SAPMER has invested in the Asian continent with the setting up of offices and a showroom in the much sought-after Pudong District, located in Shanghai: A contemporary and electric city waiting to be discovered. This showroom meets all the expectations of seafood enthusiasts who are able to taste and test SAPMER’s products like the Ahi tuna, Patagonian Toothfish and Rock lobster. They will be introduced to these products in the heart of a high-tech kitchen, enabling them to be familiarized with the defrosting process, the cutting techniques and the culinary possibilities offered by these premium products. 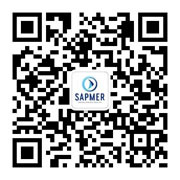 SAPMER’s products are sold under its own brand name in Chinese supermarkets and served in restaurants located in various Chinese regions, including Shanghai. The premium quality Ahi tuna, provided by the French brand renowned for offering the best sea products, presents the perfect opportunity for clients looking for intense taste sensations and to discover new flavors. An innovative, healthy, light and gourmet cuisine guaranteed. The showroom in Shanghai located at 2F, No.3 Laomatou, No.601 Waima Road, Huangpu District, Shanghai, is open all 7 days a week from 10:00 to 21:00. Our team welcomes you in a warm space of sales and tasting of fine products. Equipped with ultra low temperature freezers, all available products will be tasted with a “Fresher than fresh” quality. For any tasting or sampling of our seafood products, please contact your local dealer via the contact form below.